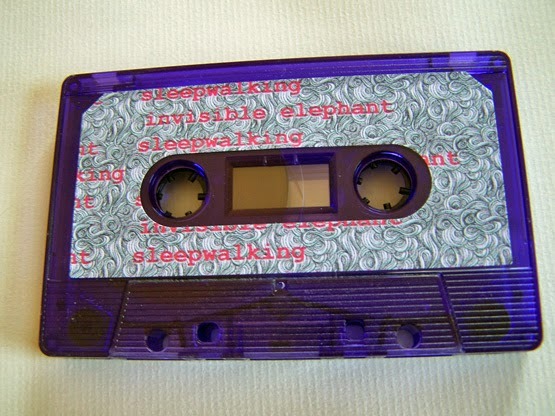 I really don’t like using the word “shoegaze” these days because I feel as if it is not overused but also applied to a large number of pieces of music on Band Camp which are, well, anything but shoegaze. 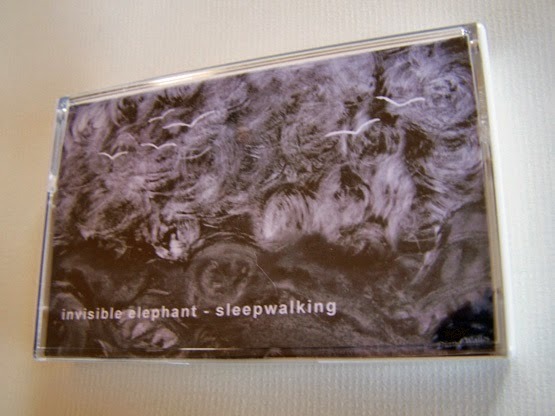 A band that you might actually find that really is shoegaze though isn’t really true to what Invisible Elephant sounds like, but it’s fairly close. 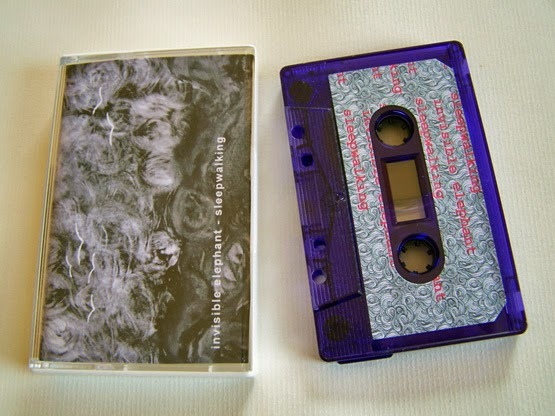 On some levels, my best way of describing this is creating the subgenre distantgaze, as this almost sounds as if it is playing in the room next to you and you can hear it through the walls. At times, and when there are vocals, this reminds me a lot of The Flys and unfortunately I do not have another band to really compare this with, but it is not for my lack of trying it’s simply because there aren’t any. While there are some bits of FNL, I am hesitant to call this a slowed down version of Depeche Mode, although at one point I really wanted to start singing “Enjoy the Silence”. Still, I’m not saying if you are a fan of Depeche Mode you will like this, hence no comparison there. 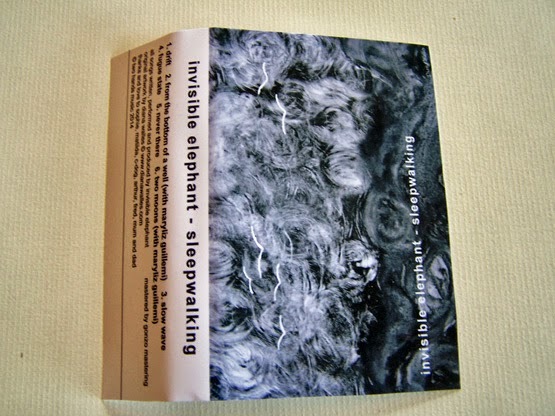 What I really like about Invisible Elephant is that as much as this music is great with the vocals, especially on cassette, it isn’t afraid to delve into long patches of instrumental, distorted madness and I’ve always been a fan of that. Having a set of songs that all have vocals or don’t is one thing, but when you’re listening to something for the first time and have no idea what’s coming next… it’s probably one of the best feelings you can get when listening to new music.